Sergeant (Wireless Operator / Air Gunner) Joseph Crawford, Service No 648647 [Photograph No. 1] served with 113 Squadron, R.A.F. 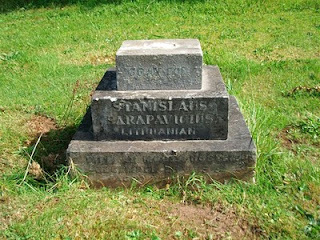 died, aged 19, on 9 December 1940. 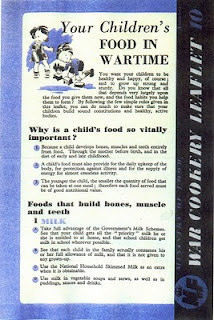 At the time Sergeant Crawford was on active service somewhere in the Middle East. In early December 1940 he posted a photograph of himself to his mother at home in Britain. 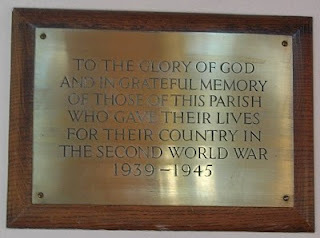 It has been posted here thanks to his nephew, Mr David Mason of Whitehaven. 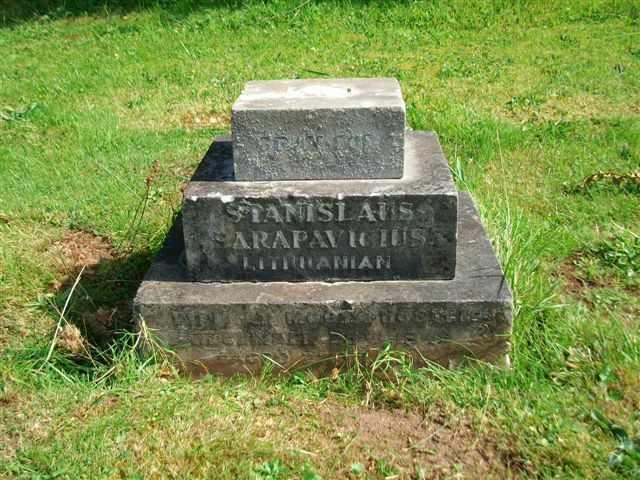 Sergeant Crawford's loss was just one sad and mysterious loss of the war. 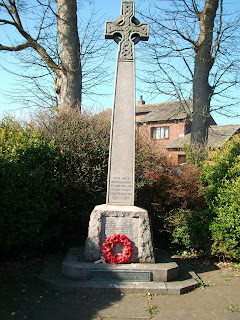 (Bottom): Hensingham Parish War Memorial. 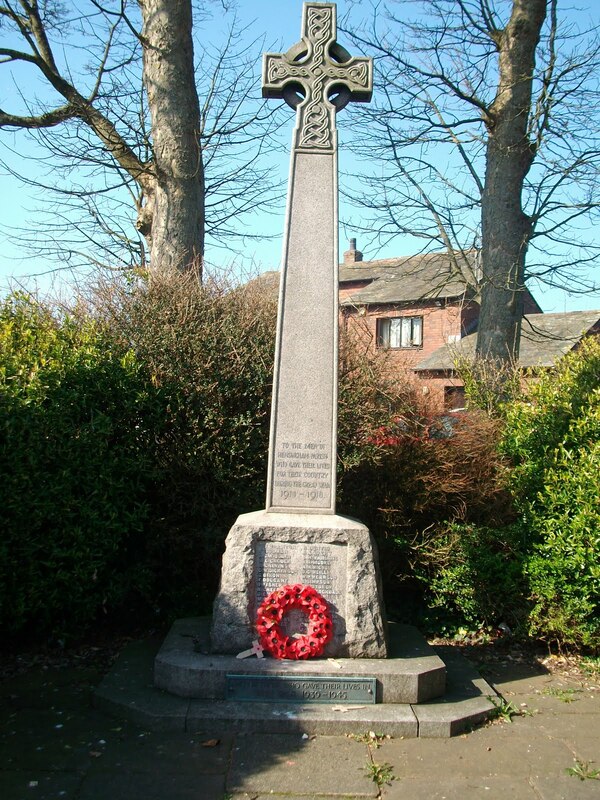 During WW2 Florence May Hunter of Hensingham Whitehaven served in the WAAF as a medical orderly. During the war she would have helped many sick and injured RAF personnel in the course of her service. 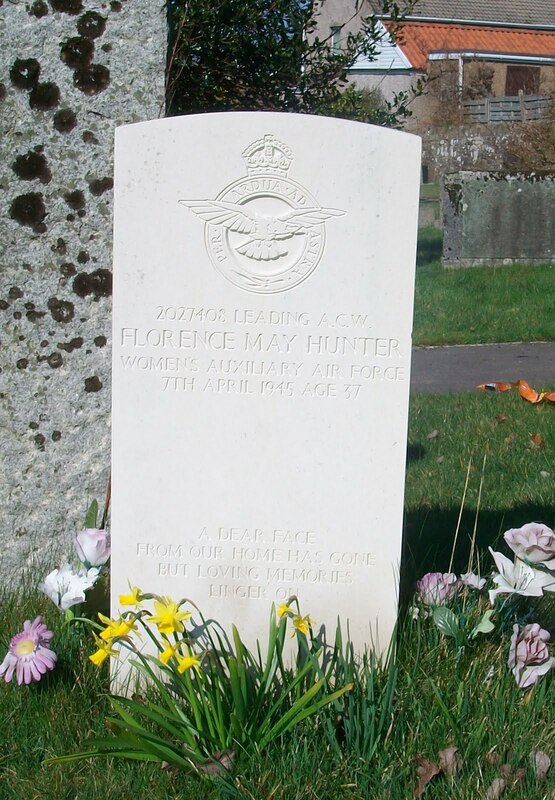 Unfortunately, Florence Hunter was also to become a casualty of the war, and only a few weeks before V.E. Day. As can be seen in the middle photograph above golden daffodils that were planted on her grave appear as a tribute to her memory. A ceramic teapot that helped in Hitler’s downfall! 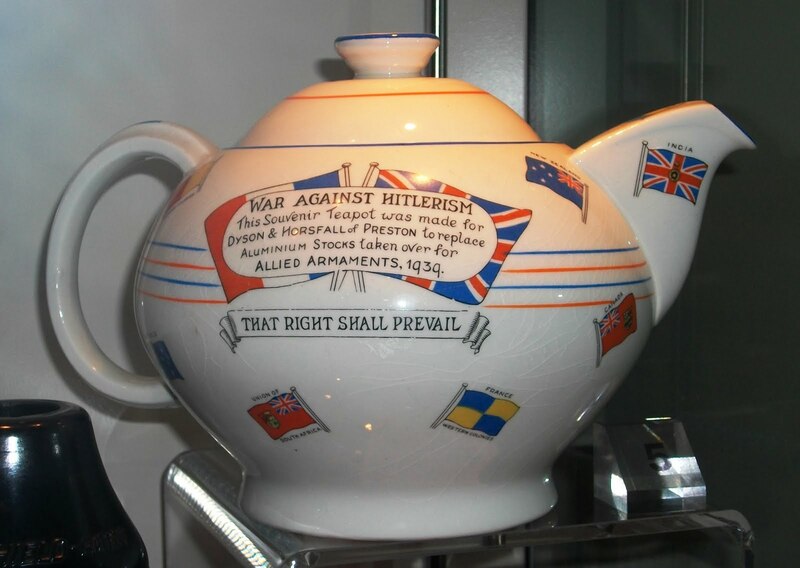 In the war against Adolph Hitler and the Nazis even a ceramic teapot played a part. The Second World War was a "People's War" in standing up against Hitlerism and for freedom. The official name of the 'Gas Mask' was the Civilian Respirator. 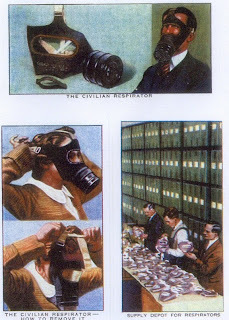 One way of getting across message of air raid precautions to the public was by the use of cigarette cards. Three of these dealing with the Gas Mask or 'Civilian Respirator' can be see above. 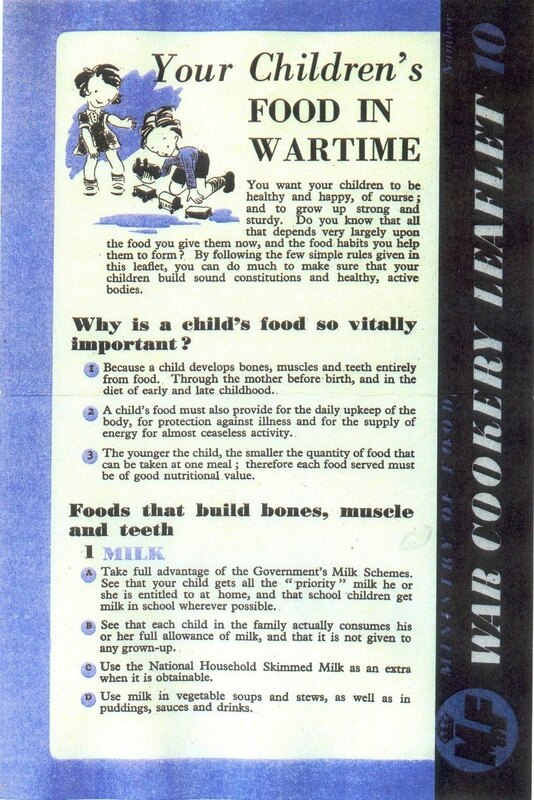 The above photograph shows the front page of British Government leaflet giving advice on ensuring a healthy diet for children. During a wartime goodwill visit to Cockermouth and the surrounding district some of the crew of ‘HMS Melbreak’ took part in a fox hunt with the local Melbreak Foxhounds. The traditional hunting area of the Melbreak Pack mainly covers the area in the vicinity of Crummock, Buttermere and Ennerdale. 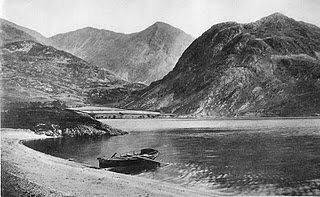 Photographs 1 - 3 above, taken shortly before WW2, show views of Cockermouth, Crummock and Ennerdale. For the 14 crew members of 'HMS Melbreak' who visited this area of West Cumberland at the end of October 1944 hunting foxes was a welcome break from hunting German U-Boats. Photograph No 4 is a postwar photograph of the legendary Huntsman Johnnie Richardson (left, blowing his hunting horn) while with the Blencathra Foxhounds. 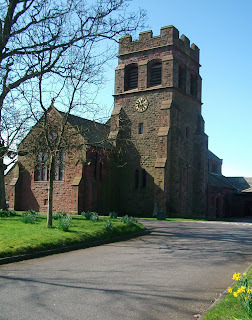 In WW2 Johnnie Richardson had been a P.O.W of the Italians and made a successful escape. 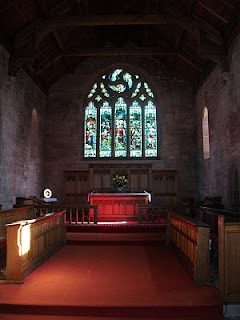 He was on leave at his then home at Gatesgarth, Buttermere when the crew of HMS Melbreak made its goodwill visit to Cockermouth and Cumberland, meeting up with them to show them the rudiments of fox hunting - and the social aspect of it at the Kirkstile Inn, Loweswater afterwards! Photograph No 5 is a recent photograph of the Kirkstile Inn, Loweswater with Melbreak fell (mountain) behind. 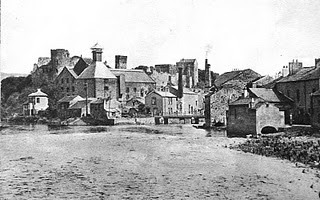 HMS Melbreak took its name from here. It is still one of the favourite meeting places for the Melbreak Foxhounds. 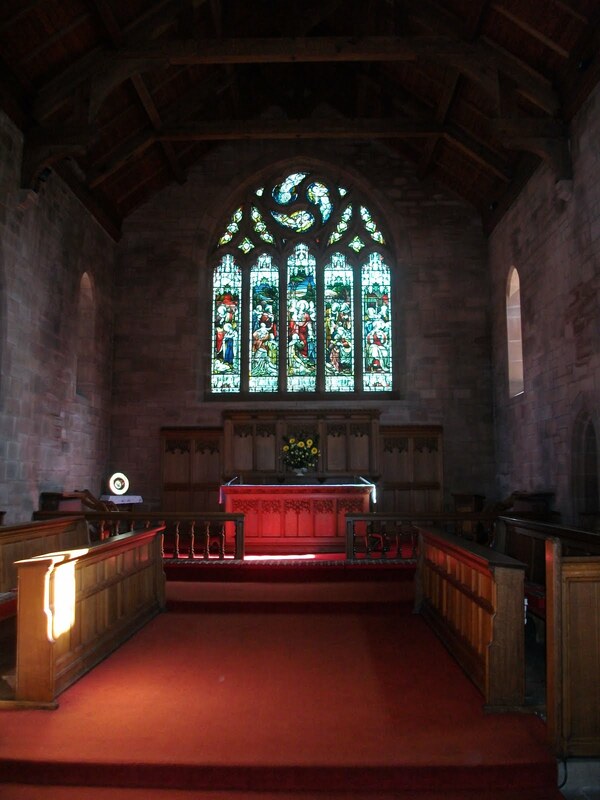 The above photographs show the headstones of two casualties of WW2 in a village churchyard at Cleator, Cumbria. Yet neither of these people have ever been counted as official casualties of war. They are among the many 'missing' war casualties not officially recorded and rarely, if ever, considered as casualties of war. For a number of years, after the Second World War ended, I deluded myself that anti-Semitism, or to give it a more correct name Judeophobia, was gone forever. Even in the darkest days of Zionist terrorism of the late 1940s there was no anti-Semitism that I recall; just as IRA terrorism never generated wide-spread anti-Catholicism. I thought that vile nonsense was over for good. How wrong I was! It is all so sad, so very sad. Trooper James Edward Jackman from Egremont, Cumberland (now Cumbria) is one of the young men and women who died in WW2. 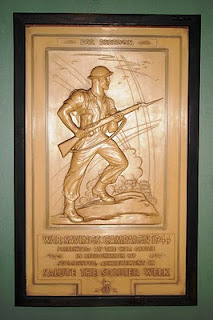 His name is listed on the Egremont Town memorial (seen above). Polish undreground agent, Jan Karski, risked his life in 1942 to sneak into the Warsaw ghetto to see for himself the atrocities being committed by the Nazis. Then, against all odds, he was able to escape Poland and travel to Britain and the US to appeal for Allied help to stop the holocaust.